17. Can You Please Crawl Out Your Window? 1. Love Minus Zero/No Limit - Take 1 - Breakdown. 2. Love Minus Zero/No Limit - Take 2 - Complete. 3. Love Minus Zero/No Limit - Take 3 remake - Complete. 4. Love Minus Zero/No Limit - Take 1 remake - Complete. 5. I’ll Keep It with Mine - Take 1 - Released on Biograph, 1985. 6. It’s All Over Now, Baby Blue - Take 1 - Released on The Bootleg Series, Vol. 7, 2005. 7. Bob Dylan’s 115th Dream - Take 1 - Fragment. Released on Bringing It All Back Home, 1965. 8. Bob Dylan’s 115th Dream - Take 2 - Complete. 9. She Belongs to Me - Take 1 - Complete. 10. She Belongs to Me - Take 2 remake - Complete. 11. She Belongs to Me - Take 1 remake - Complete. 12. Subterranean Homesick Blues - Take 1 - Released on The Bootleg Series, Vol. 1-3, 1991. 13. Subterranean Homesick Blues - Take 1 Remake - Complete. 14. Outlaw Blues - Take 1 - Complete. 15. Outlaw Blues - Take 2 remake - Complete. 16. On the Road Again - Take 1 - Complete. 17. On the Road Again - Take 4 - Complete. 18. On the Road Again - Take 1 remake - Complete. 19. On the Road Again - Take 7 remake - Complete. 20. Farewell, Angelina - Take 1 - Released on The Bootleg Series, Vol. 1-3, 1991. 21. If You Gotta Go, Go Now - Take 1 - Complete. 22. If You Gotta Go, Go Now - Take 2 - Complete. 23. You Don’t Have to Do That - Take 1 - Incomplete. 1. California - Take 1 - Complete. 2. It’s Alright, Ma (I’m Only Bleeding) - Take 1 - False start. 3. Mr. Tambourine Man - Takes 1-2 - False starts. 4. Mr. Tambourine Man - Take 3 - Breakdown. 5. It Takes a Lot to Laugh, It Takes a Train to Cry - Take 1 - Complete. 6. It Takes a Lot to Laugh, It Takes a Train to Cry - Take 8 - Complete. 7. It Takes a Lot To Laugh, It Takes a Train to Cry - Take 3 - Incomplete. 8. It Takes a Lot to Laugh, It Takes a Train to Cry - Take 3 remake - Complete. 9. Sitting on a Barbed-Wire Fence - Take 2 - Complete. 10. Tombstone Blues - Take 1 - Complete. 11. Tombstone Blues - Take 9 - Released on The Bootleg Series, Vol. 7, 2005. 12. Positively 4th Street - Takes 1-3 - False starts. 13. Positively 4th Street - Take 4 - Complete. 14. Positively 4th Street - Take 5 - Complete. 15. Desolation Row - Take 1 - Complete (with insert). 16. Desolation Row - Take 2 - Rehearsal. 17. Desolation Row - Take 5 remake - Complete. 18. From a Buick 6 - Take 1 - False start. 19. From a Buick 6 - Take 4 - Accidently released on the first pressing of Highway 61 Revisited, 1965. 1. Like a Rolling Stone - Take 1-3 - Rehearsal. 2. Like a Rolling Stone - Take 4 - Rehearsal. 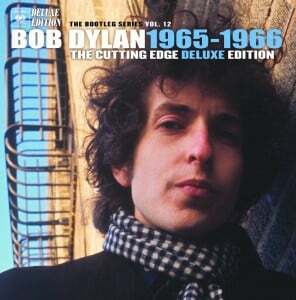 Partially released on The Bootleg Series Vol. 1-3, 1991. 3. Like a Rolling Stone - Take 5 - Breakdown. 4. Like a Rolling Stone - Rehearsal remake. 5. Like a Rolling Stone - Take 1 remake - Rehearsal. 6. Like a Rolling Stone - Takes 2-3 remake - False starts. 7. Like a Rolling Stone - Take 4 remake - Released on Highway 61 Revisited, 1965. 8. Like a Rolling Stone - Take 5 remake - Rehearsal. 9. Like a Rolling Stone - Take 6 remake - False start. 10. Like a Rolling Stone -Take 8 remake - Breakdown. 11. Like a Rolling Stone - Takes 9-10 remake - False starts. 12. Like a Rolling Stone - Take 11 remake - Complete. 13. Like a Rolling Stone - Take 12 remake - False start. 14. Like a Rolling Stone - Take 13 remake - Breakdown. 15. Like a Rolling Stone - Take 14 remake - False start. 16. Like a Rolling Stone - Take 15 remake - Breakdown. 17. Like a Rolling Stone - Master take, guitar. 18. Like a Rolling Stone - Master take, vocals, guitar (BD). 19. Like a Rolling Stone - Master take, piano, bass. 20. Like a Rolling Stone - Master take, drums, organ. 1. Can You Please Crawl Out Your Window? - Take 1 - Complete. 2. Can You Please crawl Out Your Window? - Take 17 - Accidently released as B-side of first pressing of Positively 4th Street single. 3. Highway 61 Revisited - Take 3 - Complete. 4. Highway 61 Revisited - Take 5 - Complete. 5. Highway 61 Revisited - Take 7 - False start. 6. Just Like Tom Thumb’s Blues - Take 1 - Breakdown. 7. Just Like Tom Thumb’s Blues - Take 3 - Complete. 8. Just Like Tom Thumb’s Blues - Take 13 - Complete. 9. Queen Jane Approximately - Take 2 - Complete. 10. Queen Jane Approximately - Take 5 - Complete. 11. Ballad of a Thin Man - Take 2 - Breakdown. 12. Medicine Sunday - Take 1 - Incomplete. 13. Jet Pilot - Take 1 - Released on Biograph, 1985. 14. I Wanna Be Your Lover - Take 1 - Fragment. 15. I Wanna Be Your Lover - Take 6 - Complete. 16. Instrumental - Take 2 - Complete. 17. Can You Please Crawl Out Your Window? - Take 6 - Complete. 18. Visions of Johanna - Take 1 - Rehearsal. 19. Visions of Johanna - Take 5 - Complete. 1. Visions of Johanna - Take 7 - Complete. 2. Visions of Johanna - Take 8 - Released on The Bootleg Series, Vol. 7, 2005. 3. Visions of Johanna - Take 14 - Complete. 4. She’s Your Lover Now - Take 1 - Breakdown. 5. She’s Your Lover Now - Take 6 - Complete. 6. She’s Your Lover Now - Take 15 - Released on The Bootleg Series, Vol. 1-3, 1991. 7. She’s Your Lover Now - Take 16 - Complete. 8. One of Us Must Know (Sooner or Later) - Take 2 - Rehearsal. 9. One of Us Must Know (Sooner or Later) - Take 4 - Rehearsal. 10. One of Us Must Know (Sooner or Later) - Take 19 - Complete. 11. Lunatic Princess - Take 1 - Incomplete. 12. Fourth Time Around - Take 11 - Complete. 13. Leopard-Skin Pill-Box Hat - Take 3 - Complete. 14. Leopard-Skin Pill-Box Hat - Take 8 - Complete. 1. Stuck Inside of Mobile with the Memphis Blues Again - Take 1 - Rehearsal. 2. Stuck Inside of Mobile with the Memphis Blues Again - Rehearsal. 4. Stuck Inside of Mobile with the Memphis Blues Again - Take 13 - Breakdown. 5. Stuck Inside of Mobile with the Memphis Blues Again - Take 14 - Complete. 6. Absolutely Sweet Marie - Take 1 - Complete. 7. Just Like a Woman - Take 1 - Complete. 8. Just Like a Woman - Take 4 - Complete. 9. Just Like a Woman - Take 8 - Complete. 10. Pledging My Time - Take 1 - Breakdown. 11. Most Likely You Go Your Way (And I’ll Go Mine) - Take 1 - Complete. 12. Temporary Like Achilles - Take 3 - Complete. 13. Obviously 5 Believers - Take 3 - Complete. 14. I Want You - Take 4 - Complete. 15. Sad-Eyed Lady of the Lowlands - Take 1 - Complete.